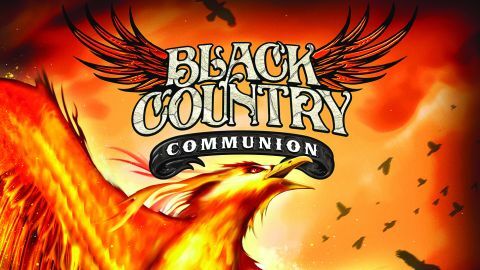 Featuring the combined weave of keyboard player Derek Sherinian, guitarist/vocalist Joe Bonamassa, drummer Jason Bonham and former Deep Purple and Black Sabbath bassist/vocalist Glenn Hughes (aka the Voice Of Rock), Anglo-American, LA-based Black Country Communion boast quite some pedigree. BCCIV thrives on the contrasting creativity of the seasoned, soulful, 60-something Hughes and the pyrotechnic, Pageian riffery of co-songwriter Bonamassa, at 40 very much the baby of the group. The album was written in four months, and it feels like it’s still fresh from the oven, crackling with hooks and heft. This is no more evident than on opener and statement of intent Collide, which tumbles down the stairs in a manner that reminds of Led Zeppelin’s Black Dog. Over My Head is a more straight-ahead, hit-the-road affair, propelled by Morse-code-style fretboard fumes. It’s matched by the funk-tinged energy of The Crow and Awake. Bonamassa takes over on vocals for The Last Song For My Resting Place, its wistful fiddles and mandolins helping to tell the story of the violinist and band leader on the Titanic who perished while still playing, a shining example of an olde-worlde code of selflessness, then it’s back to business with Sway, a rat-a-tat funk attack with Bonamassa putting in some heavy excavation work in the mid-section. The Cove represents another shift of mood. Hughes is a member of the Dolphin Project, set up to try to defend this endangered species from mass slaughter, particularly in Japan. It’s clearly a cause extremely close to his heart, and Bonamassa rises to the occasion with turquoise, aqueous atmospherics which elevate to match Hughes’s lyrical swell of anger and rage. Hughes also pays tribute to his departed parents on Love Remains, although its sentiments are a touch belied by the song’s somewhat pneumatic riff. Wanderlust is a further, lovely shift of gear, lifted by Sherinian’s grand piano, a touch of mobility and lightness in contrast to the heavy duty carried out elsewhere. Finally there’s When The Morning Comes, which rolls like mists down a hill, in keeping with the song’s lyrical theme of returning home and the security of the ‘brotherhood’ of the four members of Black Country Communion. Certainly, in the often fractious world of heavy rock there’s a sense of chemistry and camaraderie in BCC which will ensure that they can carry on down the line for some time yet.